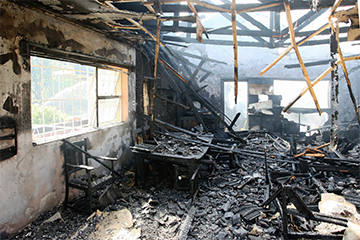 Fire not only destroys what it touches, it creates soot that adheres to walls, ceilings, floors, and contents. In addition, smoke leaves behind difficult-to-remove stains and odors. The water or chemicals used to extinguish the fire create challenges as well. When a boiler or furnace creates a puffback, the residual soot can cause extensive damage throughout. The faster cleanup begins, the more that can be salvaged. 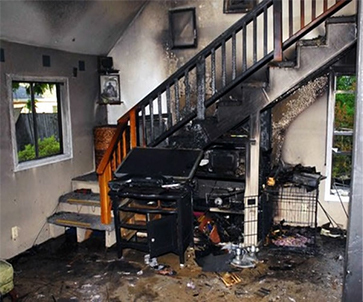 Branch Services responds immediately to mitigate damages. We begin the restoration process from the moment our team of professionals enters the premises and begins demolition and debris disposal.